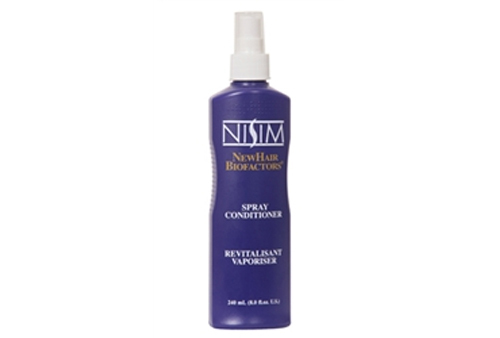 This fine mist spray conditioner improves the volume, texture and overall appearance of limp, dull, brittle and/or thinning hair by making your hair feel fuller and thicker. 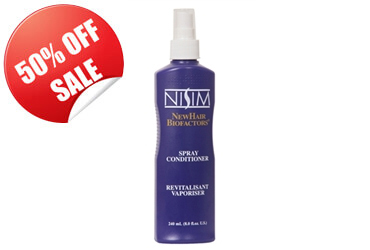 This conditioner has anti static, anti frizz and detangling properties for hair that's unmanageable. It can be used as a rinse out or leave in conditioner. PLEASE NOTE: Each review represents a consumer's personal experience and should not be interpreted as an endorsement that you will achieve the same results. Different consumers experience different results. Smells good, holds well and is really easy to apply. Best of all I can take it with me and spray it when I need it. I'm sticking with this one. It makes my hair soft, shiny, smooth and silky and it smells amazing. Really good for long, limp, thinning hair. :D I'm buying more tomorrow. My hair, in its natural state, is nothing to be envious of, that's for sure. It's thick, dry, frizzy, and feels like Brillo. Not too pleasant when I was growing up, and no better, now that I'm an adult. I require hair products that can add moisturizer to my hair, giving it a softness and a sheen, and taking down the frizzies. This is why I really like this product from Nisim. I use it as a leave-in conditioner. So, after shampooing, I towel-dry, then spray this product. It does a good job of helping my hair be in better shape. Definitely less dry and frizzy. My only complaint, it's not the best sprayer. The nozzle tends to get clogged pretty easily. In that case, I have to wash it in hot water to free it. But this is a minor complaint about a very good hair conditioner product. My hair is usually really limp often to the extent of being embarrasing. Although I wasnt too keen on the smell the product itself after a few washes is amazing. My hair feels thicker but not in a frizzy way and looks in itself healthier. I have gained so much confidence from the product I no longer tie my hair up to hide the frizz. This conditioner would probably work well on someone with thicker hair. Mine is very fine and limp and this conditioner weighed it down more than I would like.